The 12-metre Olectra-BYD eBuzz K9 electric bus will be plying on Delhi roads for the next three months, giving the authorities an opportunity to evaluate the efficiency and competency of the buses. The air quality in Delhi-NCR has been at its worst over the past week and the state government is taking dramatic steps to curb the deteriorating air pollution. 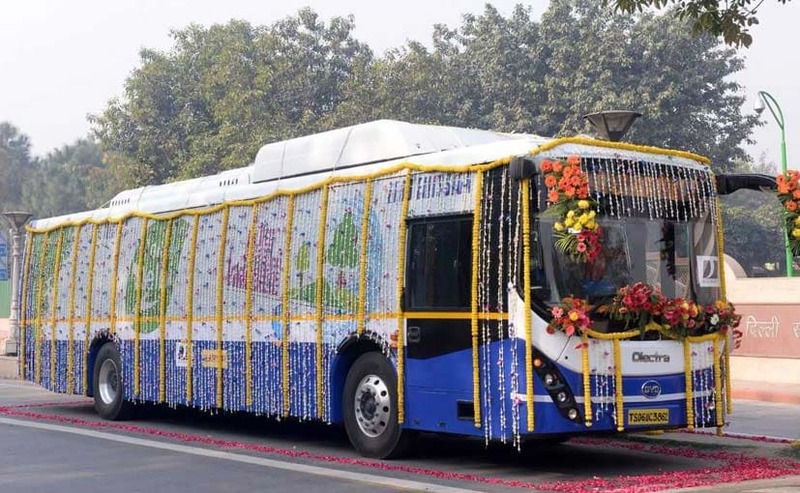 In a positive step towards the same direction, the Delhi government has initiated the trials of zero-emission and noise-free electric buses in the capital today. Olectra-BYD's 12-metre electric bus - eBuzz K9 will be used for the trials, which has a seating capacity of 35, along with the driver. The made-in-India electric bus will be plying on the roads of Delhi for the next three months, and will give the authorities an opportunity to evaluate the efficiency and competency of these buses in the standard road conditions of the national capital. The Delhi government aims to induct electric buses in the public transportation system, as it promotes the use of electric vehicles. 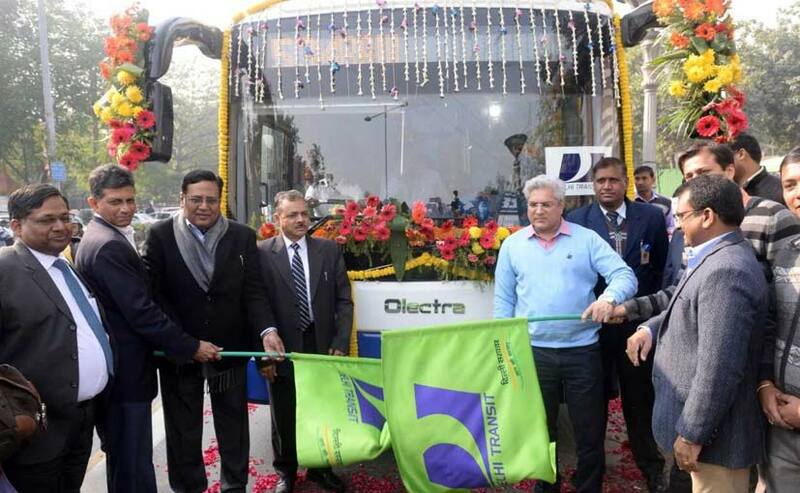 On flagging off of the electric buses, Olectra Greentech Limited - Executive Director, N. Naga Satyam said, "As a part of our commitment to contribute to the efforts of ensuring a healthy environment to the public, these Delhi trials is yet another step towards the conversion of fossil fueled vehicles to a zero-emission transport option. Olectra BYD buses are proven successful in all the terrains across the country. Olectra-BYD is the only player in India which has its electric buses commercially running in four states and we aim to continue our leadership in the eBus segment." The eBuzz K9 uses a formidable Lithium-ion Iron Phosphate battery that offers a range of 300 km on a single charge. The buses are designed and manufactured under Olectra-BYD, under a tie-up between Greentech Ltd and China's BYD Auto Industry Co. Ltd. At present, Olectra-BYD's electric buses are already running in Himachal Pradesh, Mumbai, Telangana and Kerala. The company says that the electric buses have completed over 500,000 km on Indian roads and have helped reduce CO2 emissions up to 524 tonnes, which would otherwise require 2619 trees to do the same.